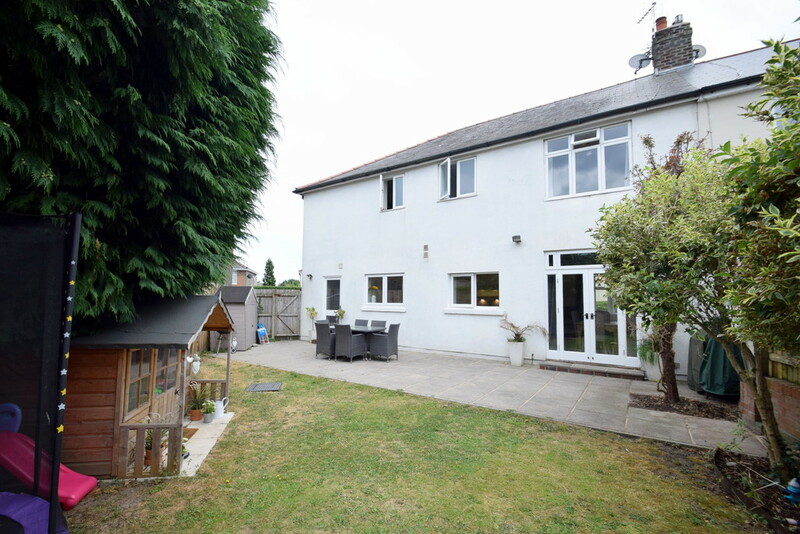 Watts & Morgan are delighted to present this immaculate extended four bedroom semi-detached property situated in the sought after location of Priory Close. 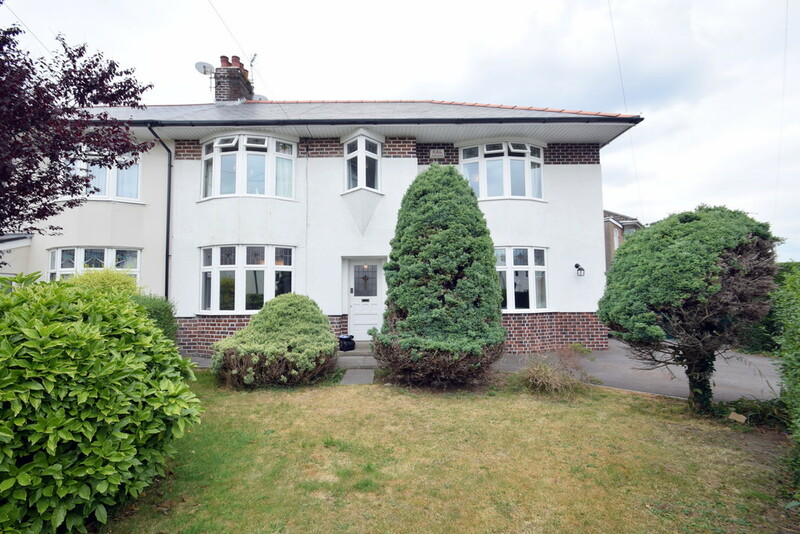 Within walking distance of Bridgend Town Centre, Newbridge Fields and Brynteg Comprehensive School. 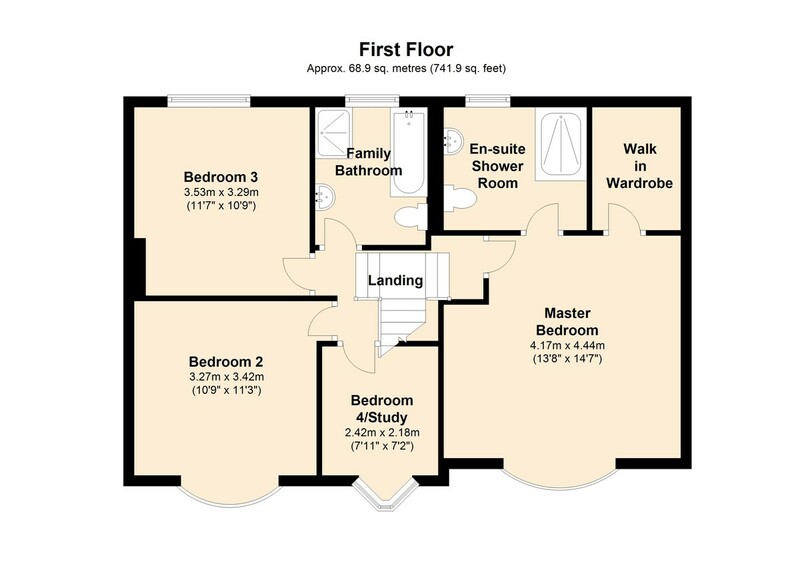 Accommodation briefly comprises; entrance hallway, downstairs WC, lounge, open-plan living accommodation comprising: living room, dining room and modern kitchen with utility room. 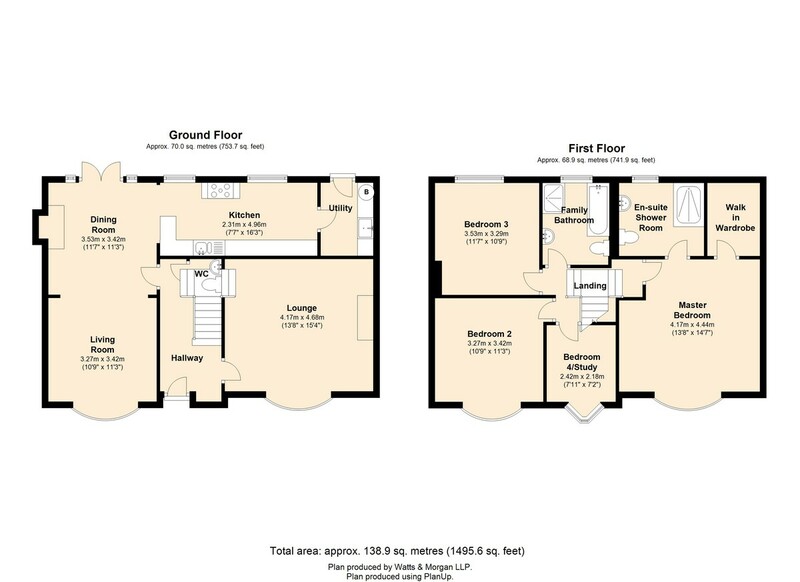 First floor landing, master bedroom with walk-in wardrobe and contemporary en-suite, two further double bedrooms, bedroom four/study and family bathroom. 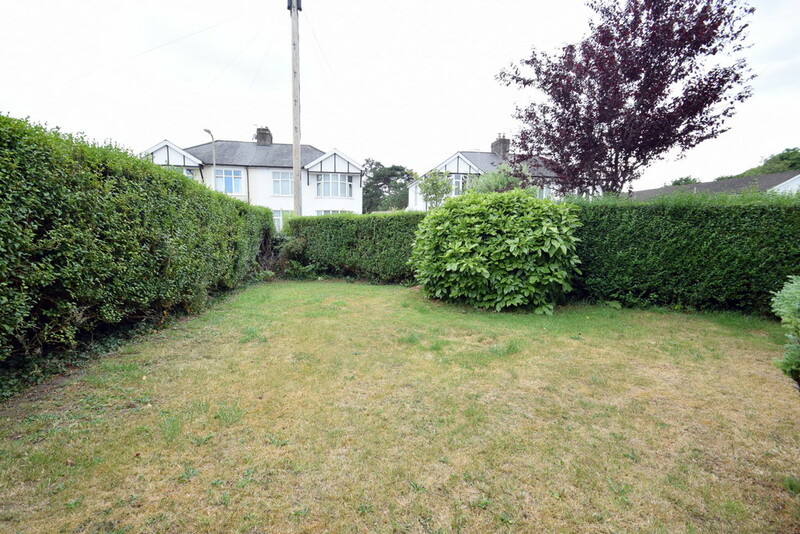 Externally offering a corner plot with generous front, rear and side gardens and ample off-road parking. Viewing highly recommended. EPC Rating: 'D'. 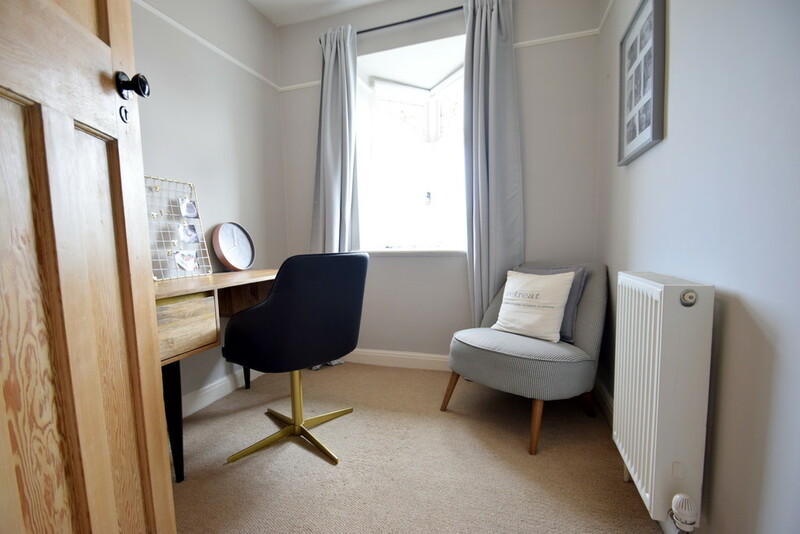 GROUND FLOOR Entrance via an original timber stained glass door into a welcoming hallway which offers an understairs storage cupboard, carpeted staircase to split-level landing, wooden flooring and leads to a modern 2-piece cloakroom/WC. 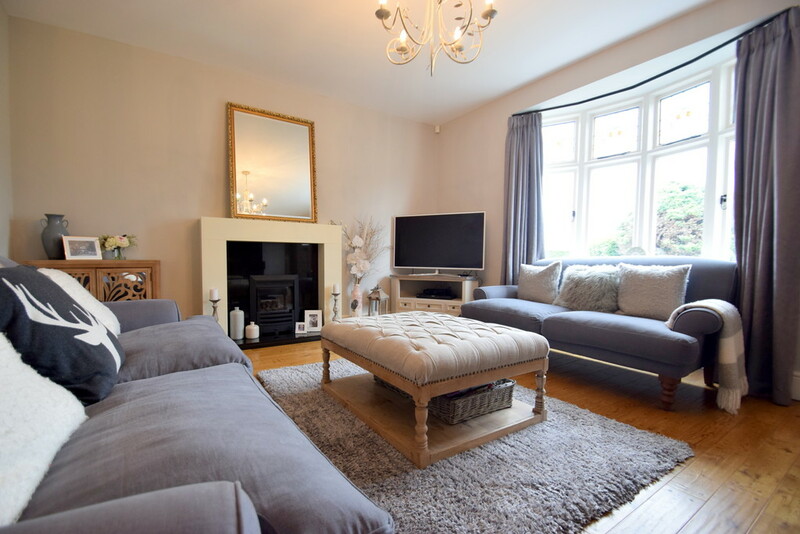 The spacious lounge enjoys a large bay window with stained glass, modern gas fire with feature granite hearth & back plate and solid wood flooring. 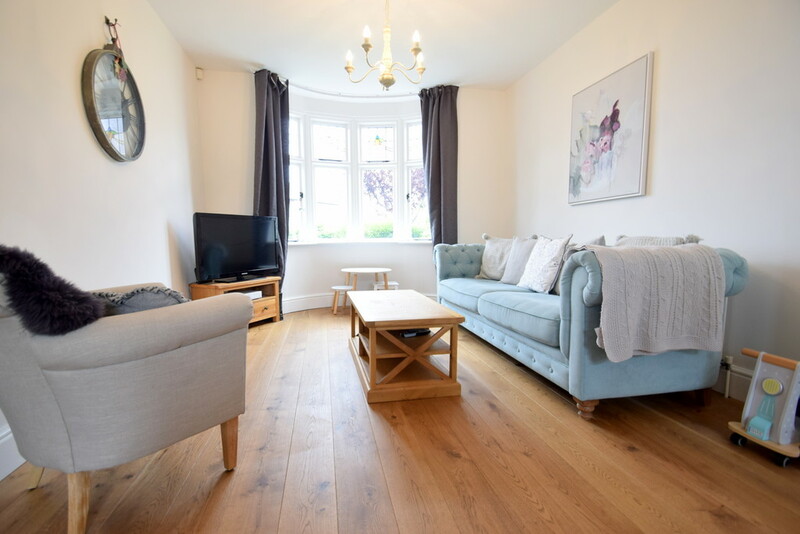 Living area offering a large bay window to the front of the property and continuation of wooden flooring. 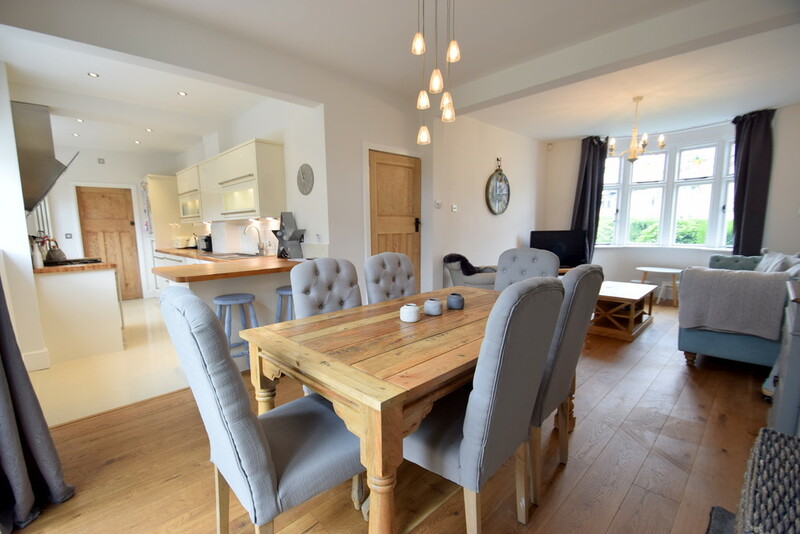 The dining area provides ample space for dining furniture, an alcove for a feature fire with stone hearth and timber double glazed patio doors. 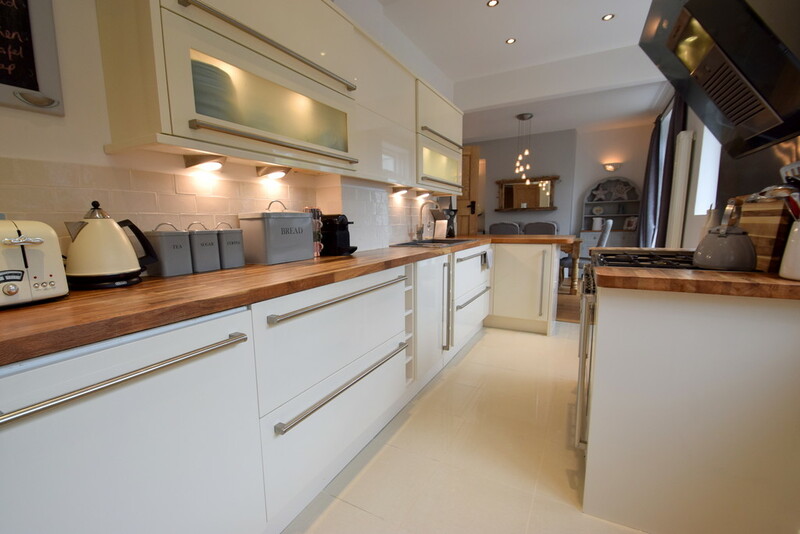 A contemporary kitchen has been fitted with a range of cream high-gloss wall and base units with co-ordinating oak work surfaces. 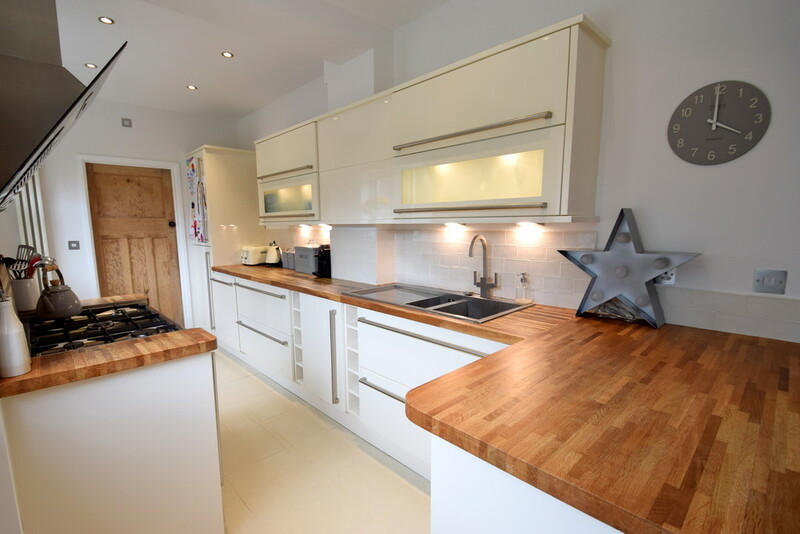 Integral appliances to include; 'Diplomat' dishwasher, fridge/freezer and a freestanding 'Delonghi' 5-ring gas range cooker with modern extractor hood. Further features include; two wine racks, stainless steel sink, two windows and high-gloss floor tiles. The utility room offers continuation of wall and base units with the 'Worcester' combi housed in a cupboard. 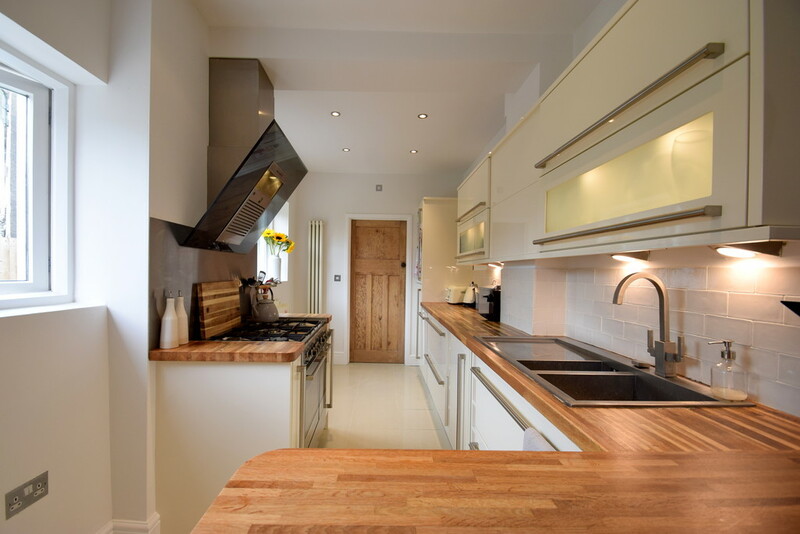 Space and plumbing provided for white goods and an additional stainless steel sink. 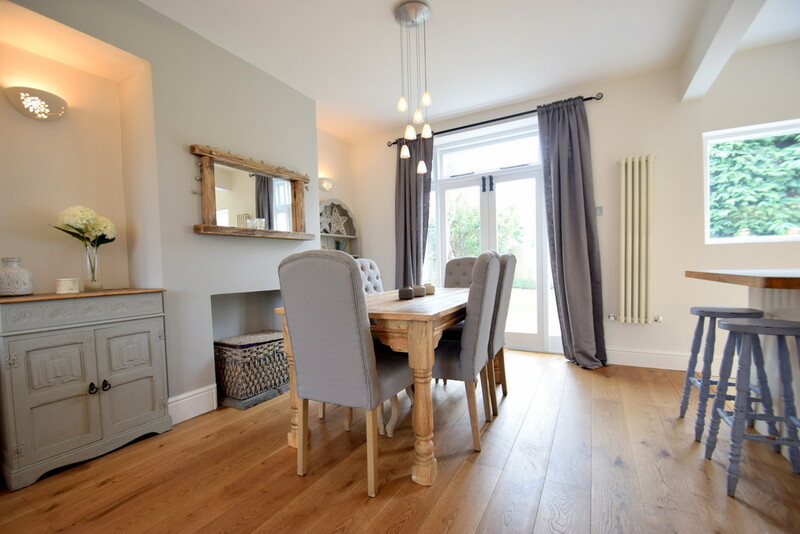 Further benefits include; continuation of porcelain floor tiles and a timber glazed door to the garden. 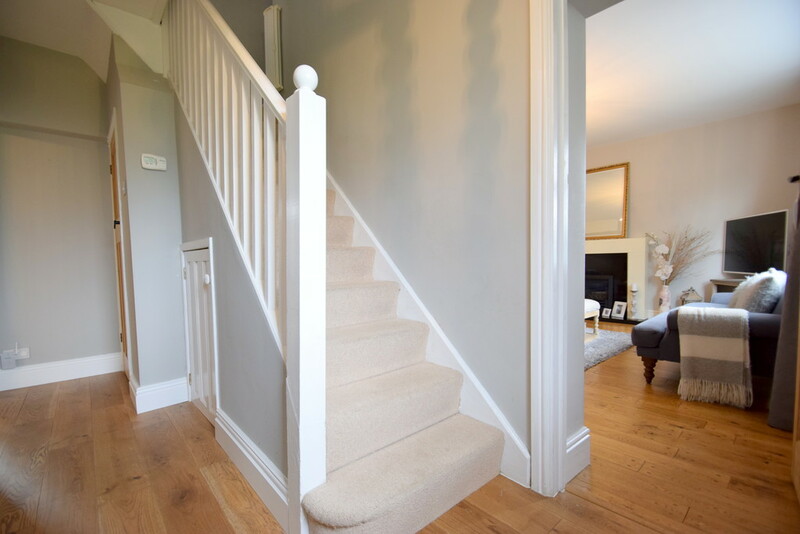 FIRST FLOOR A split-level landing offers a hatch to the partially boarded attic space with pull-down ladder. 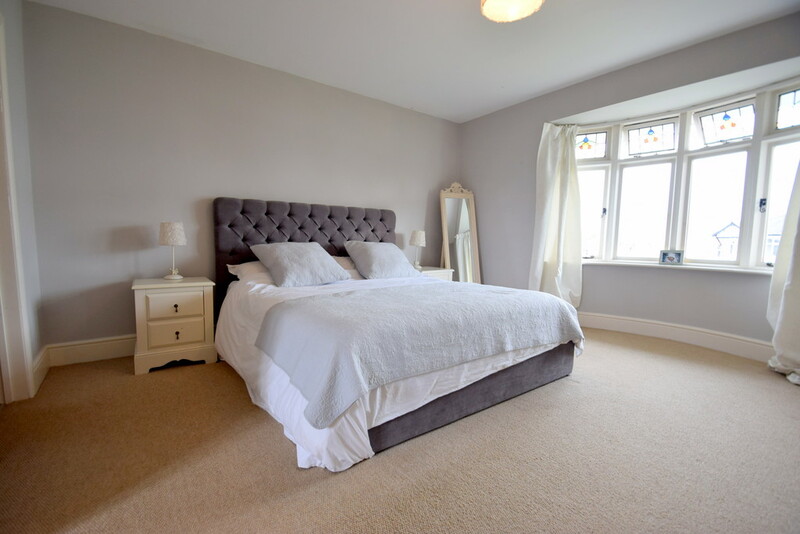 The superb master bedroom appreciates views towards the Vale via a stained glass bay window and enjoys a walk-in wardrobe with shelving and hanging rails. 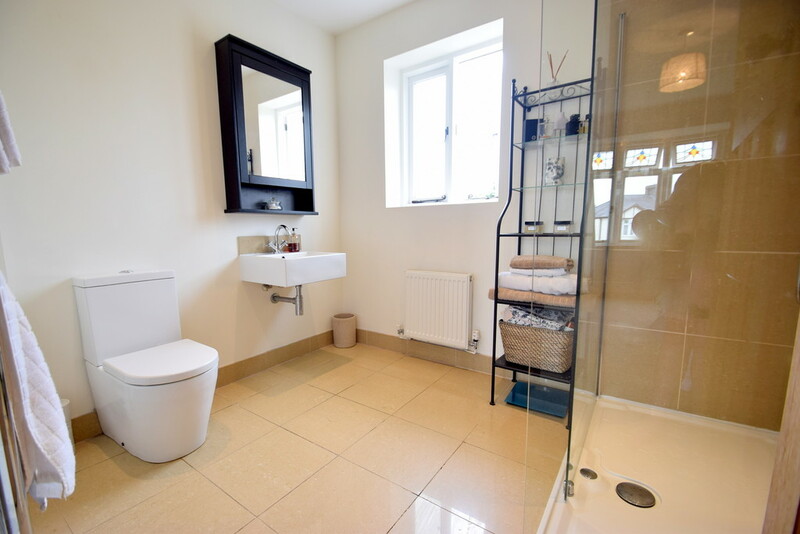 A modern fitted 3-piece en-suite comprises; walk-in shower, wall mounted basin, WC and high-gloss tiled flooring with under floor heating. 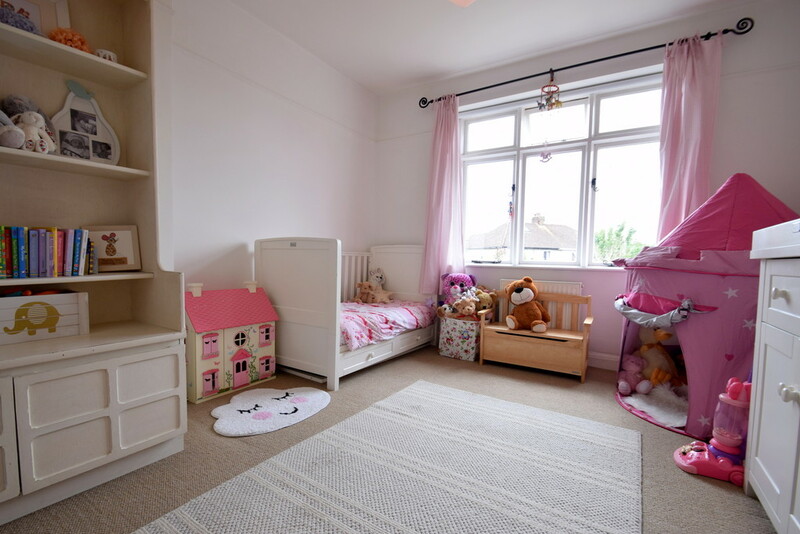 Bedroom two is a further good sized room located to the front of the property and enjoys a large bay window with feature stained glass and fitted carpet. 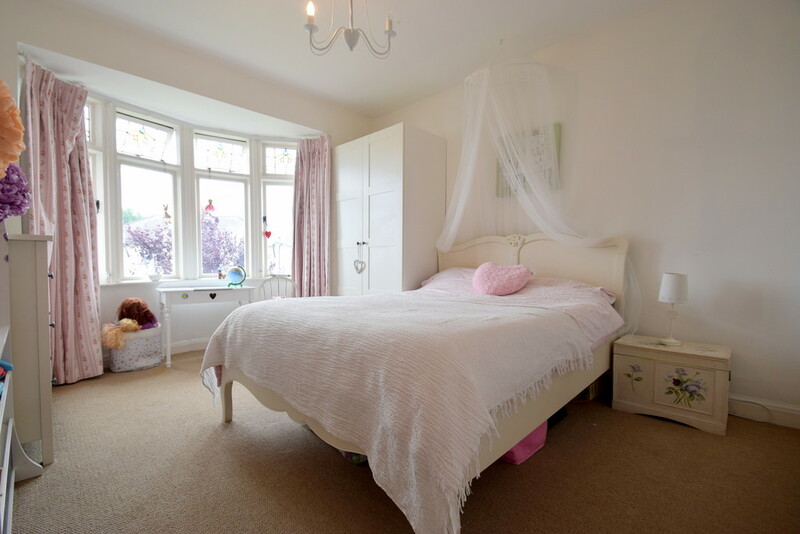 Bedroom three is another double room offering views over the rear garden. Bedroom four (currently utilised as a study) features an aerial window. 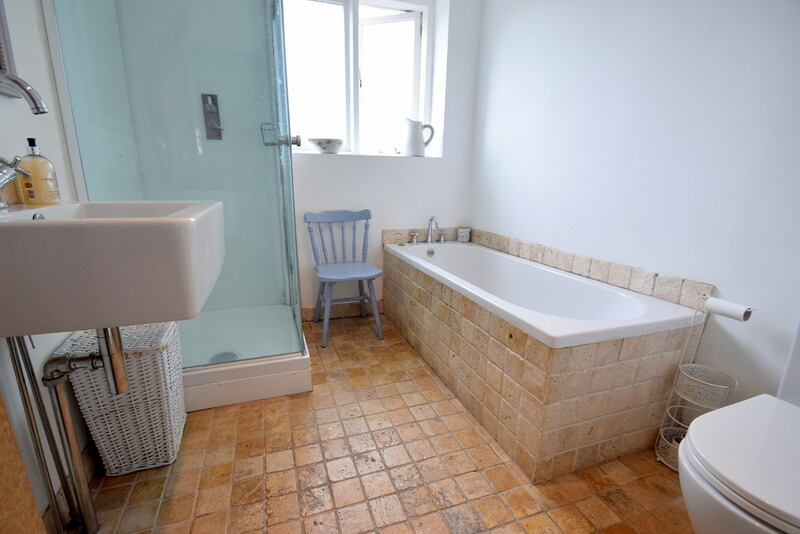 The contemporary family bathroom enjoys a 4-piece suite comprising; shower cubicle with rainfall shower over, tiled bath, wash-hand basin and WC. 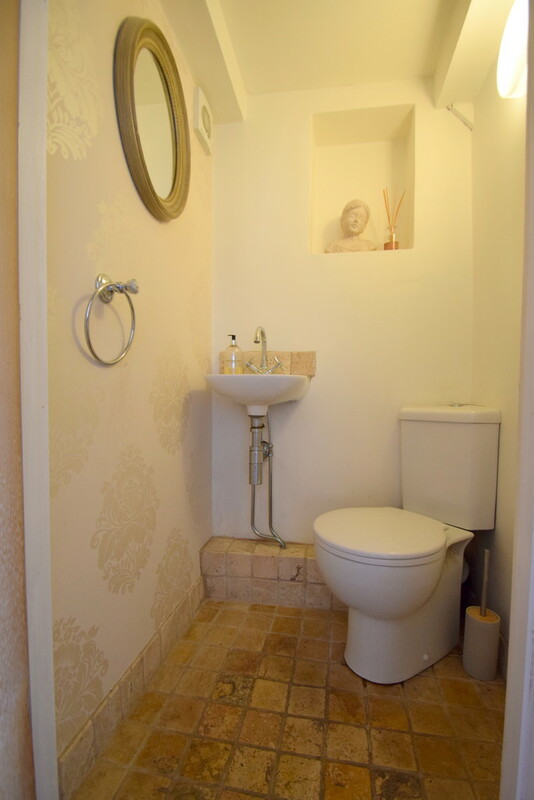 Other features include; tiled flooring, heated towel rail & an obscured window. 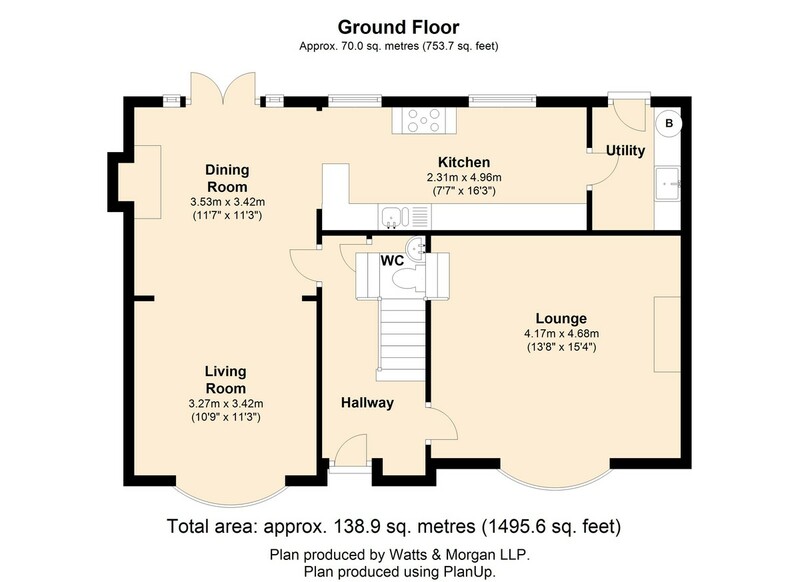 GARDENS AND GROUNDS No.1 is situated on a corner plot offering a south-facing frontage which is predominantly laid to lawn and bordered by tall hedgerow and shrubs. To the side a tarmac driveway provides parking for approx. 4 vehicles and a secure 'Asgard' metal storage shed is to remain. 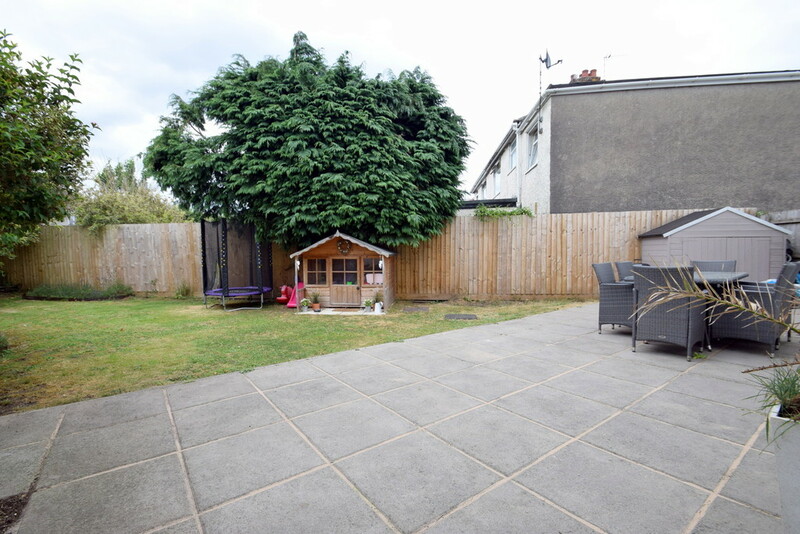 The rear enclosed garden is predominantly laid to lawn offering a large patio area ideal for outside dining, and mature tree-lined borders. SERVICES AND TENURE All mains services connected. Tenure: Leasehold - 999 years from Oct 1937. Ground Rent £10.00 p/annum.